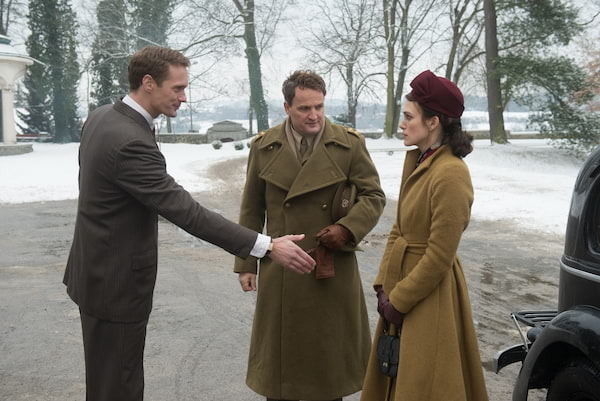 From the studio that brought award-winning films such as this year’s multi-awarded “The Favourite” and unforgettable hits such as “500 Days of Summer”, “Gifted” and “Little Miss Sunshine” comes an untold moment in history in “The Aftermath” starring Keira Knightley, Jason Clarke and Alexander Skarsgård. A searing love triangle in the midst of post-war, “The Aftermath” tails the end of the World War II, when in the late 1940s, control of Germany was divided among the British, the Americans, the Russians, and the French—their combined mission was to help rebuild the war-ravaged nation. The port city of Hamburg, Germany’s second largest city after Berlin, had suffered a devastating five-day bombing raid by the Allied forces in 1943 that killed 100,000 people and caused the destruction of 6,200 acres. Millions of German citizens were either homeless or without food, fuel, or other necessities when the British arrived. After the cessation of hostilities, the native population was barred from having any involvement in running their own affairs. It is under these circumstances that Rachael Morgan travels from England to the ruins of Hamburg to be reunited with her husband Lewis, a British colonel charged with rebuilding the shattered city after the end of the second World War. As they set off for their new home, Rachael is stunned to discover that Lewis has made an unexpected decision: the couple will be sharing their residence with its previous owners, the architect who designed the grand house, Stephan Lubert, and his troubled teenage daughter, Freda. The arrangement makes Rachael deeply uncomfortable. She resents the presence of outsiders she perceives as suspect, and she longs instead for time alone with Lewis to help heal the wounds that have taken a toll on their marriage. But the charged atmosphere soon takes on a different tenor. As she begins to absorb the weight of what they, too, lost in the conflict, Rachael’s stance toward the Germans begins to soften, slowly, evidenced by small gestures. Slowly, the tension between Rachael and Lubert begins to take on a different dimension, as she begins to see him as a kindred injured spirit and finds herself drawn to him. For Knightley, an Academy-award nominee for her previous work in “Pride and Prejudice”, “The Aftermath” is an intimate story about a woman who, having suffered a cataclysmic experience, finds a way to rebuild her life and move toward a more hopeful future. 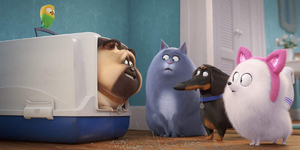 But it’s also a film with a larger message about the importance of forgiveness, compassion, and the fundamental need for human connection. From Fox Searchlight/20th Century Fox, “The Aftermath” opens on March 13 exclusive at Megaworld Lifestyle Malls Cinemas – Newport, Eastwood, Venice, Uptown BGC, Southwoods, Lucky Chinatown and Festive Walk.